Welcome to McClelland Air Conditioning! We provide 24 hour service 365 days a year for all of your residential and commercial heating and cooling emergencies. Building a New Custom Home or a New Subdivision? Let McClelland Air Conditioning provide you with a proposal today! From multi-use office buildings and retail projects to complex Computer rooms, we can design a high efficient system to meet your needs. Founded in 1947, McClelland Air Conditioning is the oldest and most respected air conditioning company in the North Valley. Today, we provide a wide array of construction and maintenance services ranging from Commercial Design/Build Projects to Residential Emergency Services to our Service Savings Plan. To learn more about our Club MAC Membership, click here. 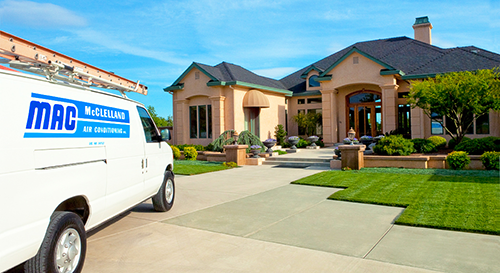 Our Mission is to provide prompt, professional service and installation. Our reputation is based upon quality equipment as well as quality service. CONTACT McCLELLAND AIR CONDITIONING ABOUT OUR SERVICES OR MAINTENANCE!